Through KAIROS, 10 churches and religious organizations work together in faithful action for ecological justice and human rights. The churches as institutions with their collective voice, and the church as spirit-filled movement of people. We are an ecumenical movement for ecological justice and human rights. Formed in 2001 by bringing together over 10 previous inter-church coalitions, our justice commitments reach back over 40 years. 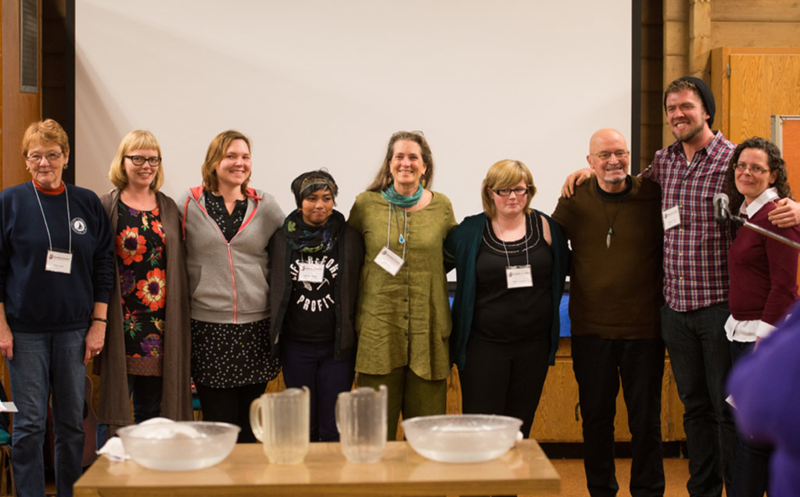 We have a Steering Committee made up of Indigenous representatives and representatives of our ten churches and religious organizations, a staff of 35 in offices in Toronto and Ottawa and in home offices in regions across Canada, three program Circles and group of regional representatives and educators that help guide our work, a network of activists in Canada, and partners in Canada and around the world. We are a charitable joint venture administered by the United Church of Canada.